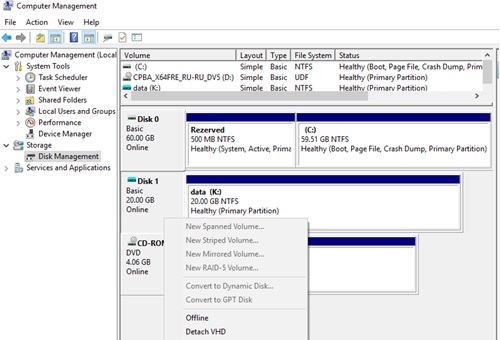 Since Windows 7 and Windows Server 2008 R2 users can create and mount virtual hard disk files (VHD/VHDX) directly from Disk Management console. These virtual disks look like separate physical disks in the system and can be used to store any data. An essential disadvantage of these disks is the necessity to mount VHD/VHDX files manually each time you reboot Windows. In addition, only local computer administrators have the permissions to mount VHD/VHDX files, ordinary users don’t have these privileges (those, the user must ask the administrator in order to mount a virtual disk file). 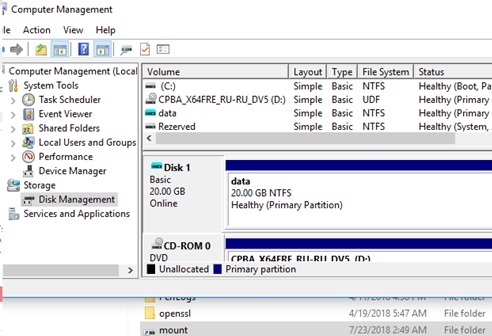 In this article we’ll show how to automatically mount the vhd/vhdx file at the Windows startup so that virtual hard disks become available for non-administrator users. In Windows there is no built-in ability to automate mounting of vhd files when you reboot your system. 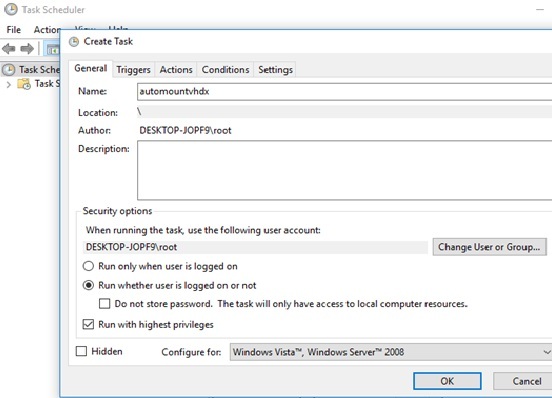 Let’s try to implement auto-mount vhd images using the diskpart and Windows Task Scheduler. K – the drive letter that you want to assign to your VHD image. This script mounts the specified vhdx file, selects the first partition on it and assigns drive letter. If there are several partitions on the disk, change the code accordingly by specifying the number of the partition to be mounted. Note. For security reasons, it’s better to change NTFS permissions for file “C:\Scripts\attach_vhdx.txt”, so that users could not change this file. Add a new startup trigger (At Startup) with the default settings. 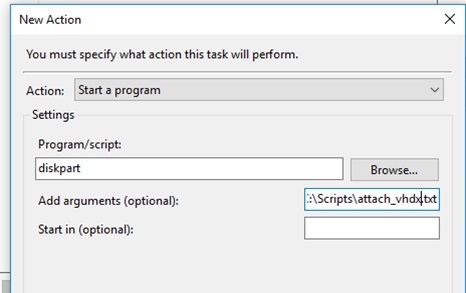 Specify as a program argument: /s “C:\Scripts\attach_vhdx.txt”. In the Conditions tab, uncheck Start the task only if the computer is on AC power. Save the changes. 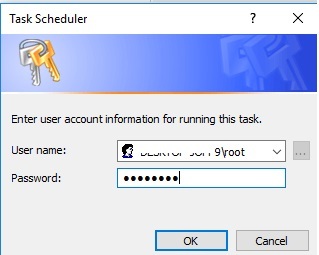 The system will prompt you to enter the account credentials (the username and password), from which the task will be run (this user account must have administrator privileges). 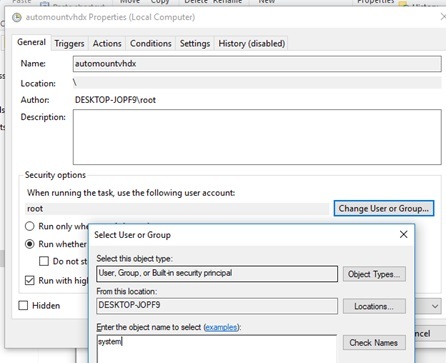 To run the task on behalf of SYSTEM, open its properties again and in the General tab click Change User or Group button. In Select User or Group Window specify system and save the changes. At the next Windows startup this specified VHDx disk will be automatically mounted. Note. Typically, the drive appears in the list of available disks in about 30-60 seconds after Windows startup. 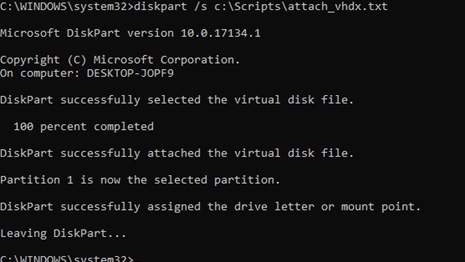 As a result of this command, the virtual disk will be mounted in a separate directory on your physical drive (in this directory the contents of the vhdx file will be displayed). 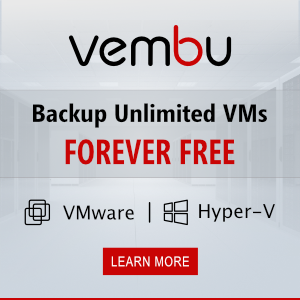 If your code doesn’t contain errors, then the command will connect the vhdx file and a new drive will appear in your system. These ways to automate mounting of virtual disks can be used in Windows 10, Windows 8.1 and Windows 7. As always, answer is in the comments, thank you. Exactly what I was looking for; unfortunately it didn’t work for me! I found that letting the Task Scheduler call diskpart with the added arguments did nothing for some reason: it executes the task on start-up, but without any results. In the Actions tab, I then simply called ‘C:\Scripts\diskpart.cmd’, instead, without any arguments. This fixed the issue, although i have no idea what the problem was. Thanks to Herbert and you others! This has been a big problem for me! I did not get it to work, and have spent lot of time trying to solve it. But now it works! It works! Beware the sign ” that must be correct (Ascii 34), it can maybe be wrong when copying from the web-site. Thank you for this tip! When I copied and pasted my Action argument into Notepad, I could see that the problem was with the incorrect quotation marks. After correcting this everything seems to be working. Finally! Get rid of the quotes in the argument and this procedure works fine. Should be: / s C: \ Scripts \ attach_vhd.txt with no quotes. Delete the spaces in my argument if you’re copying and pasting . It also helps if you configure for Windows 7, if you’re using 7. And delay the task for one minute while everything else starts up. Great article, simple and yet with all the necessary detail.